Written for EO by Grant Polachek, the director of marketing at Inc. 500 company Squadhelp.com. Part of being an entrepreneur or small business owner is getting excited about your venture. You obsess over it to the point that most of your daydreams revolve around details of your business plan—which beers you’ll offer at your new pizza place or the color of the walls in your designer boutique. This love and attention are what breathe life into your idea. But your collection of thoughts may also feel nebulous, like they haven’t fully solidified. Maybe it’s because you’re having trouble sharing exactly what your idea is. When people ask what your business is all about, you flounder. You jump across your ideas and fail to accurately capture the precise scope of your venture. Then, you worry you embarrassed yourself and that people will not take you seriously. This is why it is vital that you learn to condense your ideas into one simple value proposition. This succinct statement will help you focus your ideas and distill your business to its basic elements, which will later help you find the perfect name for your business. Brainstorming business name ideas is all about funneling your ideas down to the basics, and creating a value proposition can help you bridge your big ideas to their most condensed form—your business name. In this article, you will learn how to craft a strong value proposition and why having one is so important when it comes to sharing your ideas and brainstorming the perfect business name. Your value proposition, which in this case conveys the core of your business, is synonymous with your unique selling proposition, your business summary, your positioning statement, or even your mission. While we understand that these are actually slightly different concepts, this statement provides condensed direction. It should inform people what unique benefit your provide to your customers. It can be referred to as your elevator pitch. You are probably familiar with Domino’s Pizza: “Hot, fresh pizza delivered to your door in 30 minutes or less or it’s free.” Just like this, your sentence should be concise and descriptive while illustrating what makes your business stand out. [Great Business Name] helps [audience] [core benefits]. Coming up with a statement like this will also help you grasp exactly what you aim to do. It condenses your long-winded idea into quick, digestible information. Why Bother With a Value Proposition? When setting forth with a new business idea, you will more likely be taken seriously and be seen as confident in your plan if you can succinctly state what you’re doing. For instance, it may be that your dream is to open a bookstore that showcases local publications as well as small press, and also includes a hip wine bar. Your bookstore is going to be a hub for your city’s creatives, a place where local artists congregate and exchange ideas. The wine bar offers casual service and a cozy, inviting environment. Your space caters to people who want to stay a while and connect with like-minded individuals to create community. Now let’s say you’ve been thinking all day about the variety of events you will host—from open mic nights to poetry workshops and events featuring local musician—when you’re asked by a stranger what your new business is all about. Investing time and effort into defining your idea and what you’re all about in a way others can easily understand, a way that points out the benefits of your idea. Put pen to paper or finger tips to keyboard and challenge yourself to sum up your business effectively, in as few words as possible. But How Will This Help Me Name My Business? Writing your value proposition forces you define what your venture offers customers and how you plan to impact their lives. When naming, these are also things you should consider. Slowly whittling your idea down to its core will help you focus on the fundamental aspects of your brand. These core aspects are what your name should illustrate. Distilling your big idea down to a basic sentence may be hard to wrap your head around. There are so many unique facets to your business, you might be thinking. How could you possibly simplify it? One proven approach to naming is all about condensing your ideas. This not only helps you succinctly communicate your purpose, but also puts you in the right frame of mind to come up with a strong business name. A value proposition is a perfect jumping-off point to reaching the services and values that your business name must reflect. Does your business name even impact the success of your venture? In fact, it does. 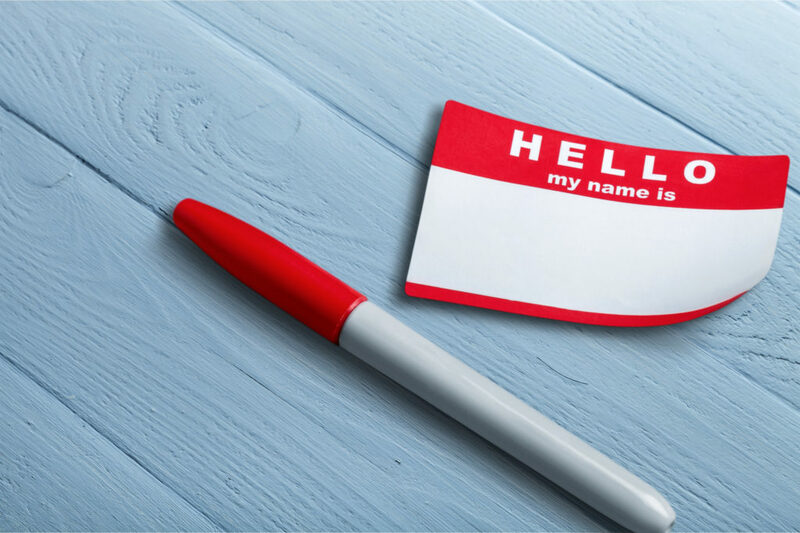 A great name will concretely boost your business, so taking the time to be thorough in your naming process will help you business flourish. Condensing your business idea into a simple statement can help you give others a solid grasp of what you’re doing. It is also an important step in the naming process. As you brainstorm business name ideas, your value proposition can provide direction and focus. Grant Polchek is the director of marketing at Squadhelp.com, the world’s no. 1 naming platform, with nearly 20,000 customers—from the smallest startups across the globe to the largest corporations including Nestle, Philips, Hilton, Pepsi, and AutoNation. Get inspired by exploring these winning brand name ideas.